Two years on from raising concerns that some safety footwear with EC type approval and CE marking is not fit for purpose ARCO, a leading UK safety company, reports it has found further evidence of CE marked PPE products failing to meet required standards. 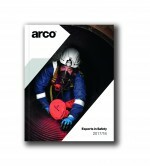 Arco says new testing it has undertaken has highlighted that not only are several CE marked safety footwear models continuing to fail standard safety tests, but samples of leather gloves have also been found to be non-compliant. The latest findings reinforce the message that CE markings cannot currently be fully relied upon as a guarantee that PPE is fit for purpose and it is essential employers closely scrutinise their supply chains to keep workers safe.